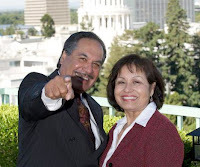 SACRAMENTO, CA -- California’s Latino population will become the majority within a couple of years and their growth can be seen in schools, businesses and local elected offices in nearly every community across the state. But being 40 percent of the state’s population, Latinos have limited statewide public policy influence due to comprising only one-fourth of all California’s voters and having too few elected legislators. 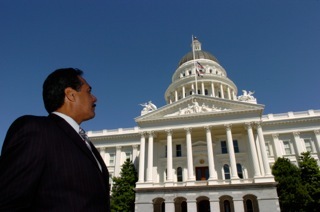 As a result, Latino organizations, public and private, have been leaning on lobbyists and advocates to assist them in fighting or supporting public policy being considered in the legislature, the governor’s office, the constitutional offices, and among the dozens of boards, departments and commissions. Born in Madera, California and raised in San Jose, California, Roy grew up helping his family, first as a farm worker and then as a newspaper delivery boy as a teenager. After high school, he enlisted in the U.S. Army and was a Vietnam era veteran from 1966 to 1969, where he completed his tour of duty. Upon his return, Roy focused on getting a college education and enrolled at California State University, Sacramento where he became politically and socially active, and provided counseling services for inner-city Latino youth. In 1980, Roy married and moved with his spouse, Gloriamalia, to San Juan Bautista where they both worked for the internationally renowned “Teatro Campesino,” and became parents to two children. However, it wasn’t long before Sacramento came calling him back, this time to serve as Special Assistant for Senate President Pro Tempore David Roberti. Through his own company, RMP Strategies, Roy enjoys advocating for organizations like the American GI Forum and the California Hispanic Chambers of Commerce (CaHCC). 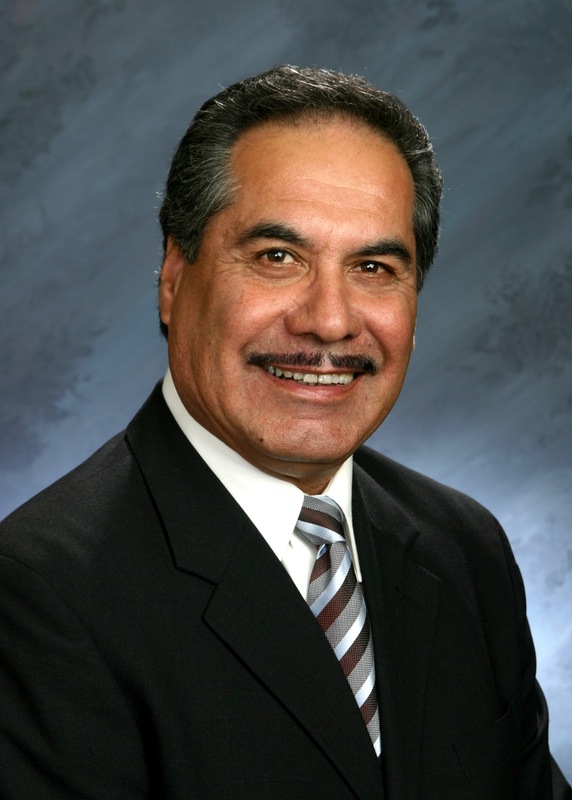 He was elected first as Vice Chair of the CaHCC, then as its Chair. He was recently bestowed an honorary Doctorate degree from San Jose State University and recognized by the American GI Forum of California with their “Lifetime Achievement Award.” Roy recently resigned as Chairman of the CaHCC due to personal reasons, yet he was given the “Lifetime Achievement Award” by the National Latina Business Women’sAssociation of San Diego and by numerous individual Chambers at the CaHCC 2012 annual convention. 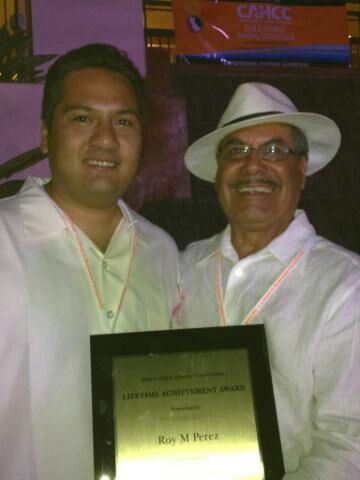 His was recognized for the continued devotion and commitment to advancement of Hispanic businesses in California and the Latino community and ensuring California’s economic growth. Roy’s actions have made him a key Latino leader and perhaps the most powerful non-elected Latino in the state. JOLA: Roy, you were recently described by a couple of key Latino leaders as being “Perhaps the most powerful non-elected Latino in the State,” how do you react to that? Roy: Well, I don’t know who said that, but I am humbled by that distinction. I have always seen my role as being a facilitator and have strived to connect people or at least share information that would help someone connect with the person that may be able to help them, and perhaps that’s what they are referring to. I have to admit I do know a lot of people and enjoy being able to help our community as best I can. JOLA: As a former Capitol insider, lobbyist and now advocate, your perspective on politics is unique. Do you think Latinos in California have made any political gains? Or, have we lost ground since we have decreased representation in the legislature? Receiving the "Lifetime Achievement Award"
JOLA: Do you believe, as Democrats and Republicans have stated, that Latinos are born Democrats? Roy: What I have learned is that I don’t want to give ‘blind loyalty.’ That’s the worst thing a citizen can do, particularly a Latino who wants to be a leader, because blind loyalty will destroy you. It destroys because you don’t question authority or question your colleagues who are leading you down that path. For example, the Republican far right and the Democrat far left have their own agenda and their job is to recruit you to follow their agenda. To me, it’s ok for the parties to have their own agenda as long as we don’t get sucked into their agenda. A leader leads and doesn’t follow and we should not get ourselves trapped into following someone else’s, or a political party’s agenda. During the Chicano movement there were very liberal Marxist and socialist Democrats who were pushing their ideological beliefs on Raza, which some followed and as a result, we lost out since these were wealthy individuals that took us down this path and when the movement was over, these people drove off on their luxury cars back to Beverly Hills leaving us in the same position. That’s why I say we cannot to give blind loyalty to any person or party. JOLA: Two years ago, there were 7 Latinos running for statewide office, but none received their party’s endorsement. Do you believe the party’s are using our vote, but don’t want to see us in office? Roy: Well, are we electing someone because they are Latino or Latina? Or, are we electing a super qualified individual that can articulate issues and be a leader that happens to be a Latino or Latina? I’ve seen pretty bad candidates in both parties. If we’re talking about the GOP party, it has a very, very serious challenge within their own party. One we have the far right GOP that is a demagogic arm that deals mainly with social issues, while we also have a more moderate Republican that, to their credit, are trying to do what is best for California that can work with the moderate Democrats. On the other, we have the far left in the Democratic Party that is nearly identical to the far right of the GOP, but at the complete opposite end. The problem the GOP has because of the right wings demagogic view is that when we talk about Latinos they begin to talk about immigration and use it as a political tool to whip their opponent. They stir frenzy in their community that destroys a moderate opponent, and at the same time, they throw gasoline in the entire field, burning everybody and now they have lost the Latino voter and they burn themselves out, and now they have no power. And, the Democrats do the same thing, using immigration and social security as the political tools. What this does is make it difficult for moderates on either party to gain traction, and most Latinos are moderate. JOLA: Do you think the GOP can regain Latino support like they once had under Ronald Reagan, or have they become irrelevant among Latino voters? Roy: I was invited to attend a private meeting in DC with House Speaker John Boehner and several Congressional leaders, by U.S. Hispanic Chamber of Commerce past Chairman David Lizarraga, to discuss Latino issues including immigration. I was asked to take the lead on the immigration issue. We were asked by the GOP leadership on how they could resolve this issue. I explained to them that they created their own situation by politicizing the immigration issue to get elected. Now that they see there is a bigger calling and realize that they have a responsibility to our nation and the human beings that live in this country, they can’t responsibly resolve the immigration issue because its so politicized. They have created such a monster out there (with immigration) that if they try to take the logical and humane position, a good public policy position, their opponents will kill them in reelection. Because they created that monster and now they’re asking us to come and support them and give them advice on gaining Latino voter support, with us risking taking a bullet for them, there’s no way we can put ourselves in that position. There’s nothing we can do. I shared with them that they need to rectify, remedy this within their own ranks because this already took off and has it’s own life and I gave them the example of Governor Pete Wilson. I shared that Wilson was pro affirmative action and had top Latinos around him when he was Mayor (of San Diego), but when Proposition 187 came around and he was running for reelection as governor, his campaign politicized the immigration issue. The way they framed it (immigration) is what created the anti-republican attitude, especially among Latinos. Then, other Republican candidates took this as a way they could win an election in other parts of the nation. As a result, the GOP is now in a real politically challenged position. And, until they fix that, they will not be able to elect moderate Republicans in their ranks that can relate to Latino voters, especially in California. JOLA: You’ve been a leader in the Latino and general business community for many years and have seen the demographic changes in the state, should the California Hispanic Chambers of Commerce build coalitions? Roy: Before we build coalitions, we need to build ourselves first. You can’t save the world until you take care of your family. We shouldn’t worry about that until we take care of our own backyard and build a solid foundation to collaborate with others, like the African American, Slavic American, Cambodian American and Vietnamese Americans chambers. Then we'll be in a position to share resources and expertise with others. Through collaboration we will turn the economy around in California. JOLA: We want to thank you for taking time to talk to us Dr. Perez and look forward to your continued leadership. Roy: The pleasure is all mine and we need to continue fighting to move all of us forward. Roy is a great American who is truly a role model and leader for all of us. Great article! Hope one day he does get elected to a top political position.